Josh Leslie; Business InsiderJosh Leslie. Josh Leslie is the CEO of Cumulus Networks. When Leslie was 30, he told his manager that he wanted to be a CEO by the time he was 40. By his late 30s, CEO was nowhere in sight and his career seemed to be on a distinct sideways trajectory. So he changed his perspective: He stopped thinking about his next job, the size of his team, and the perception of his accomplishments. Ten months later, he became the CEO. On his first day, he realised he had been preparing for the role for years. I joined Cumulus Networks in June of 2015 as the vice president of sales, which was a role I had been in for several years before, and I was comfortable with. Our founder, JR Rivers, was CEO when I joined. But as time went on, JR transitioned to the CTO role, and gave me the opportunity to lead as Cumulus’ chief executive. So, ten months after I joined the company, I walked into the office for day one of a completely new role: CEO. It was an exciting, thrilling opportunity; Something I had perhaps been unknowingly preparing for since childhood, and something I had definitely put at the top of my goal list. Thinking back to my first day as CEO, I realise it wasn’t that much different than my experience in the previous ten months as VP of sales – I knew my team, I knew my way around the office, and I knew a bit more of what I was getting myself into versus starting a new role at a completely new company. But it was this ten month introduction to Cumulus, along with an entire lifetime preparing for the CEO role, that showed me I was more than ready to take on this new chapter. I was 100% ready to be CEO on my very first day. My dad is Mark Leslie. He was the CEO of Veritas Software and built the company nearly from inception. At its height, Veritas was a Fortune 1000 Company with annual revenue exceeding $US1.5B. My dad was revered by Veritas employees and widely respected in Silicon Valley. He left the company in 2001, to advise startups, invest, and teach at Stanford. In short, he knows pretty much everyone in tech and he casts a pretty long shadow. When I was nine, I didn’t think about what it would be like to follow in his footsteps. I wasn’t one of those kids who started some amazing business at a young age, and I wasn’t writing code. But I did know that I had an intense interest in the business world. As I grew older, I still listened in on those phone calls, perused my dad’s open emails when he wasn’t around, and had dinner table conversations about OEM licensing deals, stock options, and UNIX file systems. I didn’t realise it then, but looking back now I realise I was training to be a CEO. Sort of. It wasn’t like I was waking up at 6 a.m. to work on spreadsheets and cap tables. But I was surrounded by my dad’s work. Eventually I grew up, went to college, and started my career in sales. This was my dad’s influence again. Salespeople, he said, are the ones that know what’s really going on in a company. Salespeople know how to solve problems. Build the product or sell the product, he told me. It only took my one semester in college to learn I wasn’t smart enough to build the product, so I began my sales career. When I was 30, I told my manager at VMware that I wanted to be a CEO by the time I was 40. He laughed and said fifty was a more reasonable goal, if anything. Eventually I left VMware and I became a VP of Sales at a small Series A startup. I worked harder than I ever had but the company and the job did not turn out the way I hoped. I took another VP Sales job at another early stage startup. After a few years at startup number two and I was approaching 40. CEO was nowhere in sight and my career seemed to be on a distinct sideways trajectory. I had a great family, by most measures a very good career, but when I measured myself against my dad, or against my peers, and I measured my ‘wins’ (or lack thereof) and I was unhappy with the score. But then I had an epiphany. I remember as a young parent, seeing one of my children display some startling ability (or at least, I was impressed!). I thought, perhaps I will be most remembered as the parent of one of my children and not for any of my own accomplishments. And maybe I don’t care that much. For the first time in my career, I started to focus on the journey, not the destination. I will simply be the best VP of Sales I can be. I will treat customers with care and employees with respect. I will spend my time on the things I know I’m good at (building trust with customers) and get help where I’m weak (process). So that was it. I was going to be a great VP of Sales and let the chips fall where they may. I left start up number two and joined Cumulus Networks. For the first time in my career, I did not seriously negotiate my compensation, my title or organisation. VP of Sales? Sure, I thought, that works for me. There were many questions of organizational ownership, but I had come to understand that all of those things would eventually get sorted out correctly if we focused on the right priorities and built trust with the team. I had truly stopped thinking about the next job, about the size of my team, or about perception of my accomplishments. It was the first time I was leading. Ten months later I became the CEO. Josh is a seasoned technology executive and currently serves as CEO of Cumulus Networks. 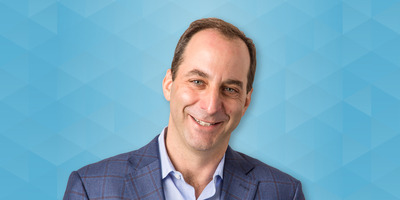 Prior to Cumulus, Josh spent time at Instart Logic, VMware, and CommValut Systems, holding various leadership roles in both sales and business development. A Bay Area native, Josh received a BA from the University of California, Berkeley and an MBA from Columbia Business School. When he’s not in the office, Josh enjoys spending time with his wife, two kids, and his poodle, Peggy.